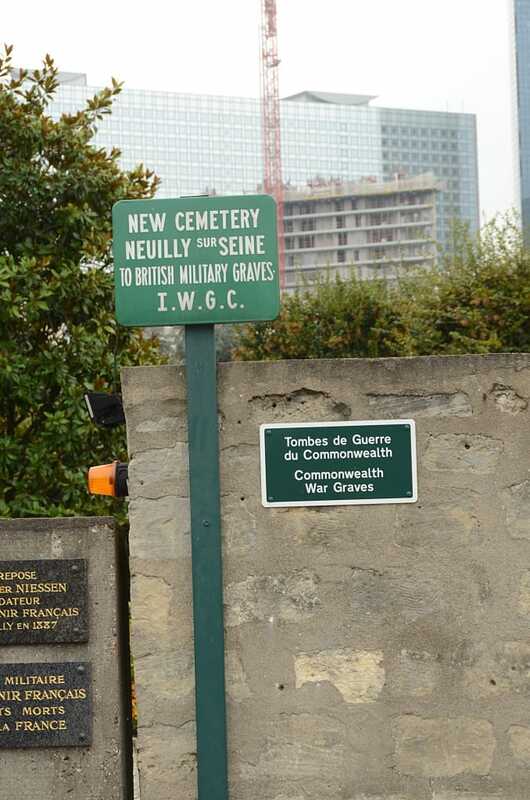 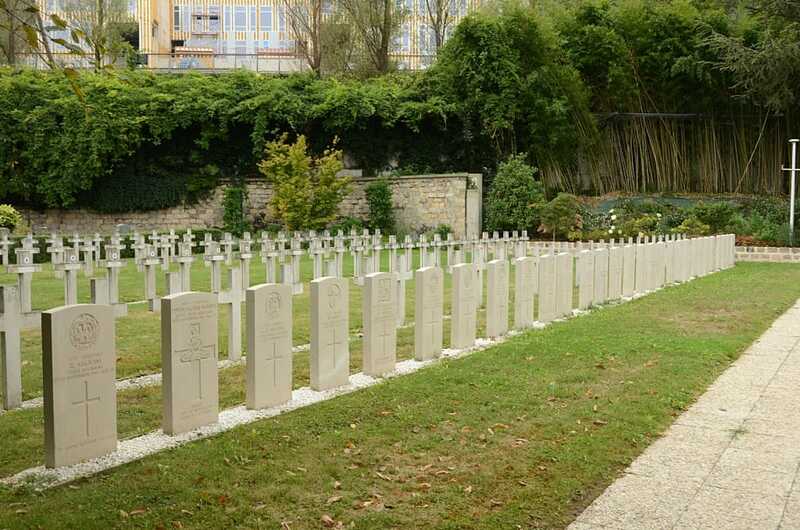 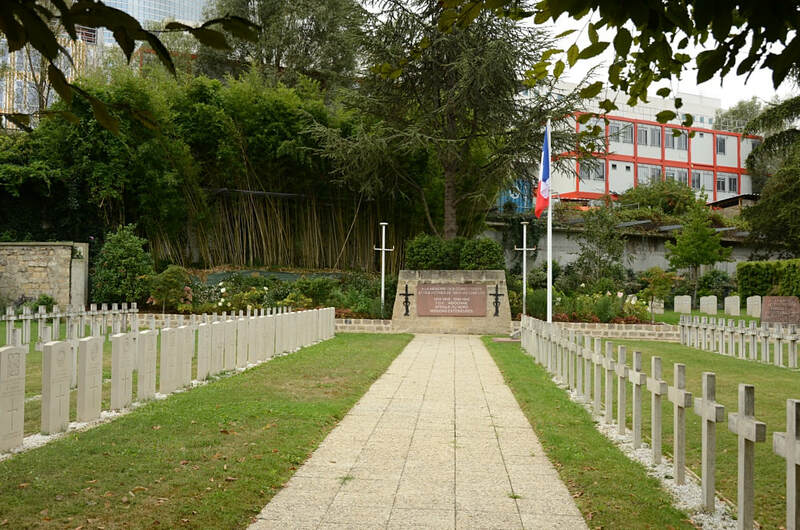 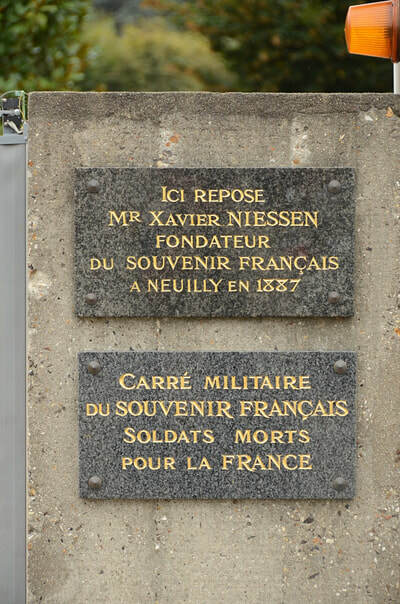 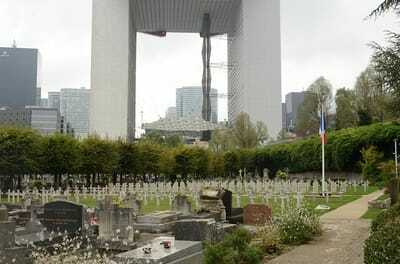 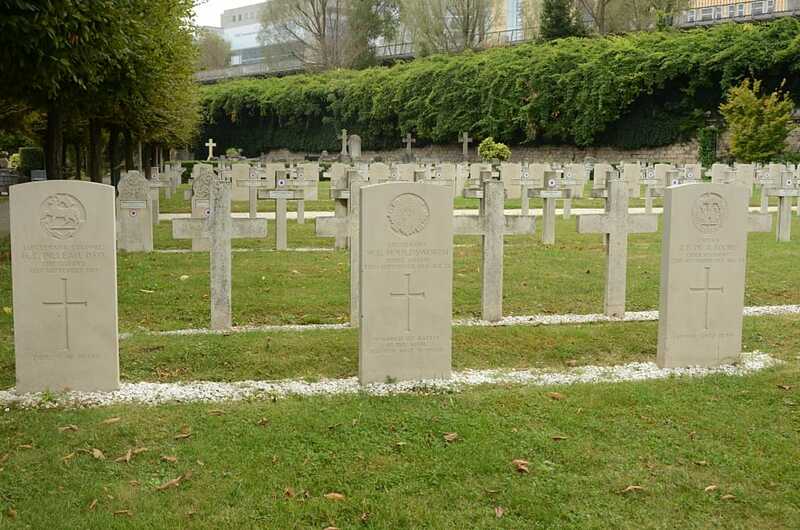 Neuilly-sur-Seine New Communal Cemetery is at Courbevoie, 4 kilometres north-west of the Porte Maillot. It is tucked into the 90°corner between the Boulevard Aimee Cesairc and the much smaller Rue de Vimy, where you can park to get in to the back entrance to the Cemy. Coming from the centre of Paris, one drives in the direction of La Defense and picks up the signs to Puteaux when you get to La Defense. 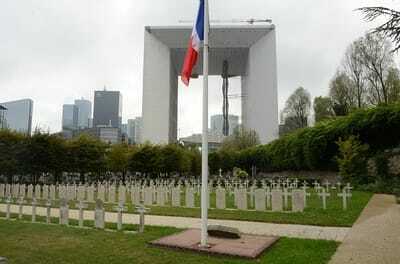 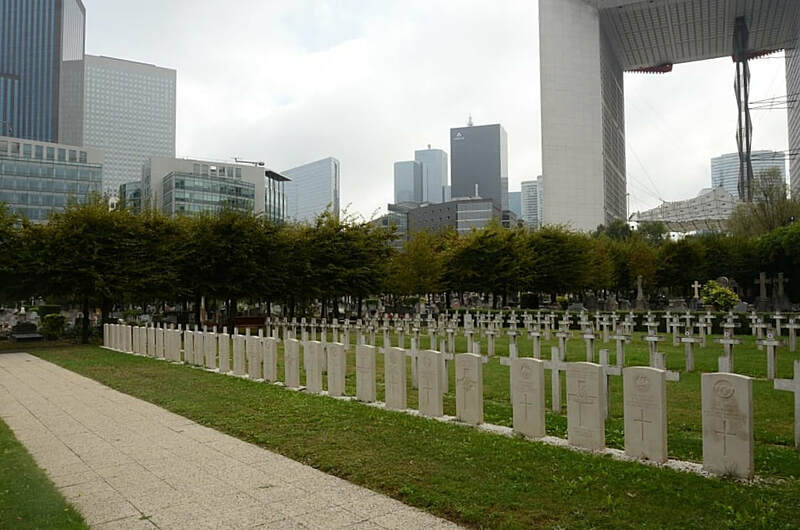 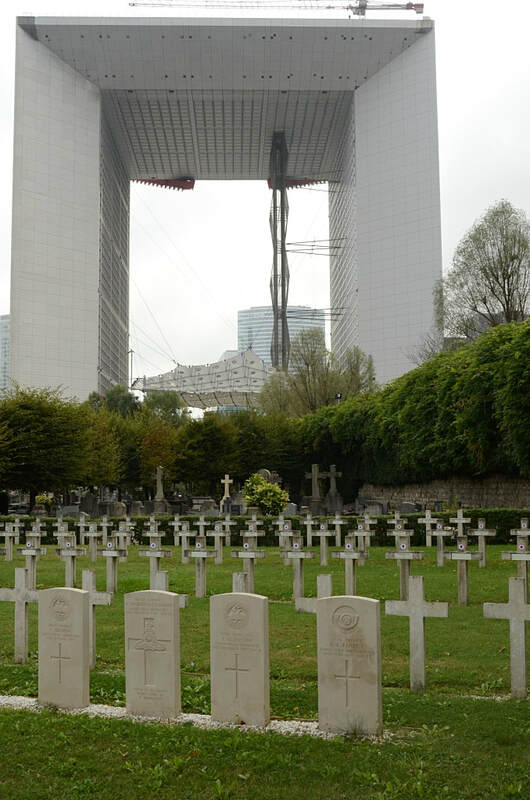 These take you in an arc around La Defense, and once you have the huge arch behind you and going straight, you are probably in the Boulevard Aimee Cesaire with the signs to the Cerny coming up and pointing right into the Rue de Vimy. 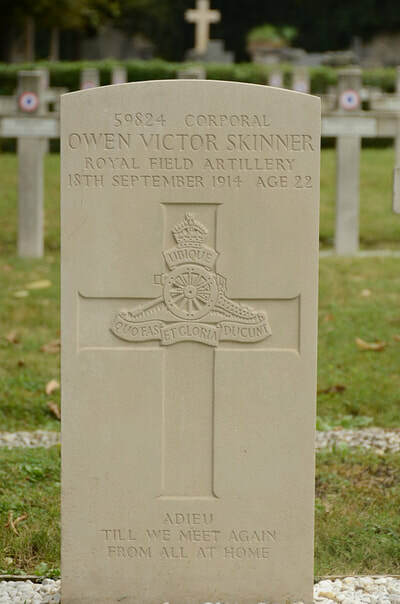 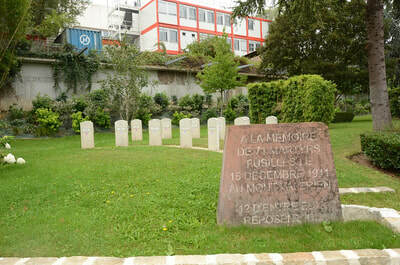 There are 33, 1914-18 war casualties commemorated in this site. 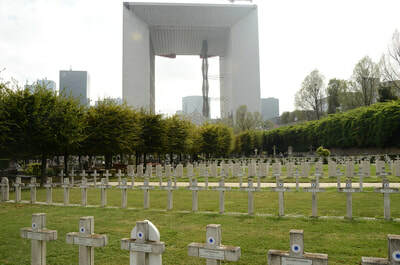 With one exception, all died in 1914-1915.